Shameless capped a very productive two-year period for Abbott , following the acclaimed six-part political thriller State of Play (BBC) and the two-part crime drama Alibi (ITV), both transmitted in 2003. The fact that all three dramas were for different channels, and that State of Play and Shameless were quickly recommissioned, is an indication of how much Abbott is in demand as one of British television's leading writers. In the crowded household in which he grew up, writing stories was a means of escape for the teenage Abbott , and when he had a story published in the local Weekly News he began to think that he could make a living from it. In 1980 Abbott enrolled at Manchester University to study psychology but he didn't give up hopes of a writing career and, after having a radio play accepted by the BBC in 1982, he decided to leave university to concentrate on writing. In 1983 he got a job at Granada Television as a story editor on Coronation Street (ITV, 1960-), and it was there, like many writers before him, that Abbott served his apprenticeship, graduating to writing episodes for the serial in 1989. Given his background, Abbott had little difficulty relating to the nuances of northern working-class life in Coronation Street . His upbringing also led him to write for and about children. His first televised script was for Granada 's children's series Dramarama (ITV, 1983-89), an episode called 'Blackbird Singing in the Dead of Night' (tx. 13/6/1988), written with Kay Mellor , who was also working on Coronation Street . Abbott and Mellor went on to develop the series Children's Ward for Granada (ITV, 1989-). Abbott had originally wanted the series to be set in a children's home but the setting of a hospital children's ward still enabled him to draw on his experience of growing up in a large family and sharing a bedroom with seven brothers. After working on Coronation Street for more than ten years, Abbott decided to move on, producing the second series of Jimmy McGovern 's Cracker (ITV, 1993-95) in 1994 and writing two stories for the third series in 1995, one of which involved a psychology student (echoes of Abbott 's student experience) stalking Fitz, the criminal psychologist played by Robbie Coltrane in the series. The Cracker scripts marked Abbott 's growing maturity as a writer and saw him following in the footsteps of McGovern , branching out from soap opera to write original stories for drama series. After Cracker , Abbott spent the next year working on three serials, all screened in 1997, an unusually prolific spell for a writer in television. The first of these was the six-part romantic drama Reckless (ITV), starring Francesca Annis and Robson Green , which was nominated for Royal Television Society (RTS) and Writers Guild awards, followed by the four-part Springhill (BSkyB), a soap opera about a large Liverpool family, and the six-part crime drama Touching Evil (ITV, 1997-99), also nominated for RTS and Writers Guild awards. 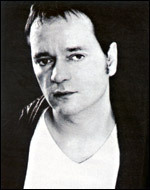 This period saw Abbott establish himself on ITV as a successful writer of popular generic drama - a talent much sought-after by television company executives. After the limitations of the half-hour soap episode, these serials enabled Abbott to extend himself with longer, original stories and a sign of his emerging reputation was that high-profile actors were attracted to his scripts, Peter Postlethwaite starring in the 1999 two-part police drama Butterfly Collectors (ITV). In 1998 Abbott signed a two-year contract with the BBC , and his first commission was the series which established him as a leading writer of contemporary television drama, Clocking Off (BBC, 2000-). Based on the lives of a group of workers at a textile factory in Manchester, with each episode featuring a different character in self-contained stories, Clocking Off was hailed as a return to the classic days of the BBC 's Play for Today , serious single dramas about working-class life in the north of England. But while its factory setting, working-class characters and urban locations suggested social realism, Abbott 's stylish treatment gave Clocking Off an altogether different, more contemporary resonance. The series was highly acclaimed, winning BAFTA and RTS awards for Best Drama Series, with Abbott receiving the RTS Best Writer award for the first series. The first series of Clocking Off was followed by The Secret World of Michael Fry (C4, April-May 2000), an off-beat two-part drama starring Ewen Bremner . This was Abbott 's second script for Channel 4 following the pilot episode for the 1999 series Love in the 21st Century . The move from ITV to the BBC and Channel 4 liberated Abbott , enabling him to broaden his repertoire and experiment with different styles, but the three-part BBC 1 serial, Best of Both Worlds (2001), about an air hostess with marriages in two different countries, was disappointing, suggesting that Abbott was less comfortable with material which did not arise from his own working-class experience. Linda Green (2001-02), by contrast, was an inspired return to form. Featuring Liza Tarbuck as the brash, uninhibited car salesperson, out for a good time, it marked a return to more familiar territory. Also in 2001 (another very productive year) Abbott wrote four more episodes for the second series of Clocking Off and adapted D. H. Lawrence 's Sons and Lovers as a four-part serial but, after embarking on the research and writing of State of Play , Abbott 's contribution to the final two series of Clocking Off was much reduced and the ratings for the series declined significantly. Screened in May-June 2003, State of Play received a rapturous critical reception, cementing Abbott 's reputation as a serious television dramatist and eliciting comparisons with Troy Kennedy Martin 's Edge of Darkness (BBC, 1985). While the 'human interest' element of Abbott 's story may ultimately have eclipsed the politics in an overly complex plot, the serial was enough of a success for a sequel, this time concentrating on the investigative journalists, to be commissioned by the BBC . The two-part ITV drama Alibi , screened soon after, also enhanced Abbott 's standing as an accomplished and versatile writer. Essentially a crime thriller leavened with comedy, the three-hour drama worked well, thanks to excellent performances from Michael Kitchen and Sophie Okonedo . With the semi-autobiographical Shameless also receiving an enthusiastic critical reception at the beginning of 2004, Paul Abbott has shown that there is still a place for original 'authored' drama in British television.